Great news from Galapagos! 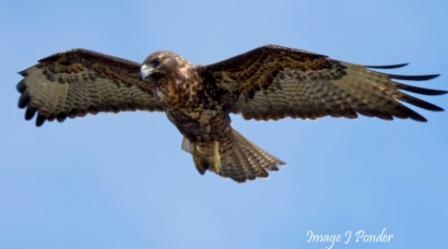 I have been in touch with Gail and am excited to report that the first hawks are being released from captivity. Click here for a video she sent. The hawk population that has been in temporary protective captivity includes adults representing eight breeding territories, resident juveniles from the island of Pinzon and a number of immigrant juveniles we believe came in from other islands. After five and half weeks of captivity and lots of free food, it is time for them to return to the skies. The plan, which Gail and colleagues are implementing, is to release the adult breeders first to give them time to re-establish their territories and then the juveniles (hoping that those that migrated in will emigrate right back out). During this process, the team will keep an eye on the newly released birds. By Christmas, the team will be back in Puerto Ayora, beginning the next phase in which the birds will be monitored via radio telemetry with supplemental feeding being provided while the prey-base, (long suppressed by the invasive rodents) recovers. No doubt the hawks will miss the eradicated rodents as a food source. As the ecosystem balance is restored, however, these flexible hunters will hopefully find a wide variety of items to hunt.